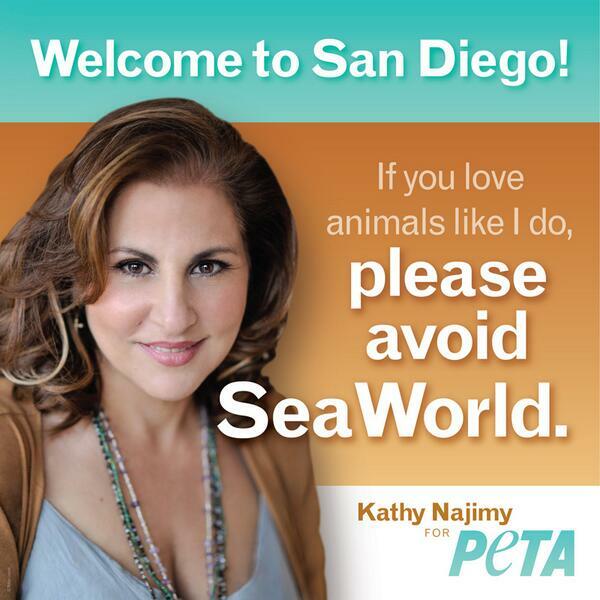 One of San Diego’s major attractions, besides some of the world’s best beaches, is SeaWorld, so it comes as somewhat of a surprise they would allow PETA to post anti-SeaWorld posters to greet travelers, without as much as a fight..
A Minneapolis woman tried to send a live puppy priority mail. Alert postal workers noticed “panting” coming from a box that had tumbled to the ground. After examination, the puppy was found sealed tight in the box, no food was present. After opening the box, postal authorities contacted animal control who took possession of the puppy. Cops located 39-year-old Stacey Champion at the “return address” written on the box, she is charged animal cruelty. Champion asserted in court that she had shipped the pup “priority” to insure its safe delivery. According to animal control they have not decided if they will give the puppy back to Champion, she has until Friday to try and claim the pup or it will go up for adoption. Pamela Anderson took part in a promotional event in a mall on November 8, 2010 in Tel Aviv, Israel. Anderson is in Israel after writing to Yakov Margi, Israel’s Minister of Religious Services, requesting that he backs a proposal to ban the trade of fur in Israel. The actress and animal activist is also expected to appear as a guest judge on Israel’s Dancingwith the Stars.